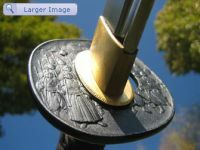 This Bushido Katana has a hand-forged & folded K120C powder steel blade, differentially tempered using a traditional claying method. The Kami katana is still one of hanwei's top notch pieces with a folded ASSAB-K120C powder steel blade and a stunning hada. This Paul Chen Tiger katana is one of the first folded blades that have been made and because of the beauty of this katana, it's still around after all these years. 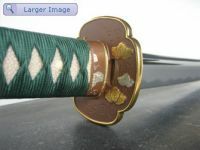 A unique selection of Japanese Katana Swords for sale. While most of these pieces have very nice fittings and look adorable, they can be used for practicing as well. 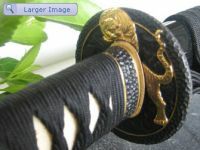 Although we need to say that's it's very unlikely that you want to perform tameshigiri with any of these since that will ruin the polish of the blade. 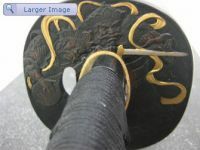 Both the Kami and the Tiger katana are coming with a -120C powder steel folded blade which results in a very nice hada (steel pattern). Although the Kami is a functional sword it's a bit 'heavy' to use. 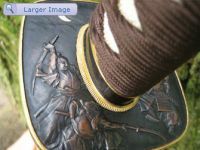 The Praying Mantis katana is the only one here that doesn't have a folded blade but is made out of L6 steel and forged into a shobu zukuri style blade.